The Funky Felter: Just a quick toot on my horn! Just a quick toot on my horn! I made Etsy's front page today. 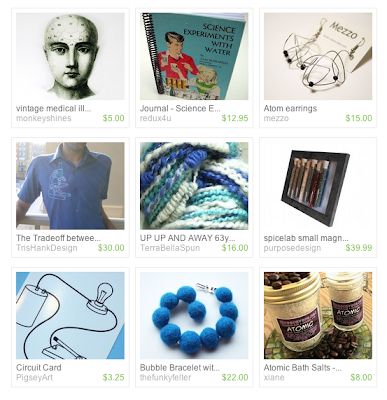 Thanks to inhope who chose my blue bubble bracelet for her treasury!